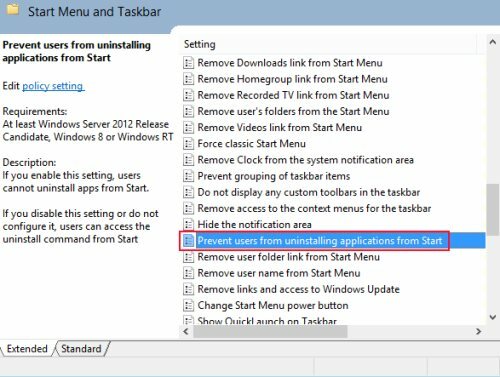 To get rid of this undue problem, we have come up with a step-by-step tutorial on how to stop uninstalling Windows 8 apps. 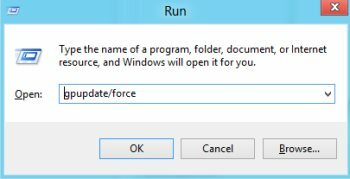 Press Windows Key+R to get the Run box appeared. Type gpedit.msc in the Run box. 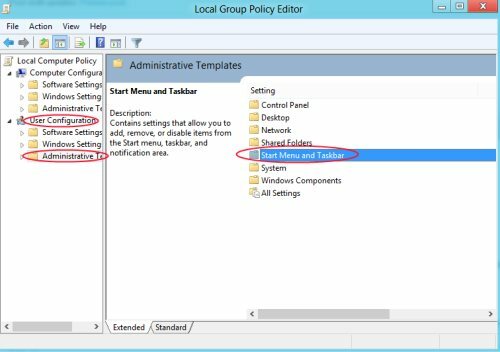 Now dig down to “User Configuration?Administrative Templates?Start Menu and Task Bar”. Now, at the right-side you will find various options. 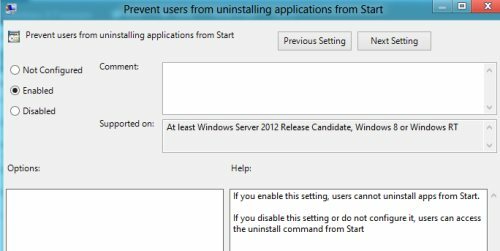 Look for “Prevent users from uninstalling applications from start” option. Now, to stop uninstalling Windows 8 Metro apps, just select the “Enabled” option. Click “Ok” once done. Now, to bring into effect the changes that you made you need to press Windows Key+R and open the Run box. Yupp…you are good to go. Now, if you go onto to an installed application and click the right mouse button over it, you will find the “Uninstall” option disappeared from the menu. Do not miss out more Windows 8 tutorials posted by us. 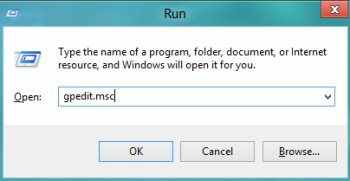 Go ahead and follow these simple steps to stop uninstalling Windows 8 Metro apps and save your all important paid applications from being lost.